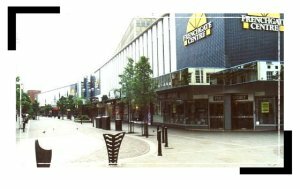 Formerly the Arndale Centre, the Frenchgate Centre has two levels of shops and is the biggest shopping centre in Doncaster. All roads lead to the Frenchgate Centre - it's the shopping centre of Doncaster. Wheelchair access at all levels. Frank from London: I remember it being called the Arndale centre not too long when I was there. Was the only place for a young whipper snapper like me to hang about! Want to know when your comment on Frenchgate Centre has been approved? We won't use it for any other purpose. If you don't wish to receive any email, please leave it blank.